The Oxford Dictionary of National Biography is a collection of over 60,000 life stories of noteworthy Britons, from the Romans to the 21st century. The ODNB is freely available via public libraries across the UK, and many libraries worldwide. Libraries offer remote access allowing members to gain access free, from home (or any other computer), 24 hours a day. You can also sample the ODNB with its changing selection of free content: a biography podcast with 250+ episodes; a topical Life of the Day, and historical people in the news via Twitter @odnb. Throughout history women have struggled against adversity in order to enable future generations of women to have a greater freedom of choice. Though history favours the warriors, monarchs, and rebels, female pacifists and mediators behind the scenes were just as vital in the fight for equality. Female peacemakers are among those women who have made a substantial impact on the world, yet between 1990 and 2017 women represented only 2% of mediators and 8% of negotiators in major peace processes, despite the importance of women’s input in policy-related decisions. In celebration of women committed to peace, here are four women from history who supported pacifism or who fought for women’s equality through nonviolent methods. Fry grew up in a family of Quakers. She acted as her father’s secretary at The Hague in 1899, during which time her belief that peace can be created through goodwill and international dialogue rather than violence was solidified, guiding her life mission as a pacifist and humanitarian. Fry’s most significant work was accomplished as general secretary of the Friends War Victims Relief Committee, a position she occupied from 1914 to 1924. The Quaker-led charity was focused on relief work for European civilians following the impact of the First World War. Under Fry’s guidance, the organisation was one of the first to work with Britain’s former enemies in Austria and Germany, providing food and clothing for middle-class children, who Fry believed would be the ones to reconstruct their fallen nations later in life. Ruth was not the only significant member of her wider family: her great aunt was prison reformer Elizabeth Fry who used to feature on the £5 note, and her ancestors established the well-known Fry’s confectionary business in Bristol. Image credit: “Ethel Snowden in ‘A political pilgrim in Europe (1921)'” by S. A. Chandler & Co. CC0 via Wikimedia Commons. Snowden was a socialist, suffragist, and peace campaigner who was one of the leading figures of the suffragist movement prior to the First World War. 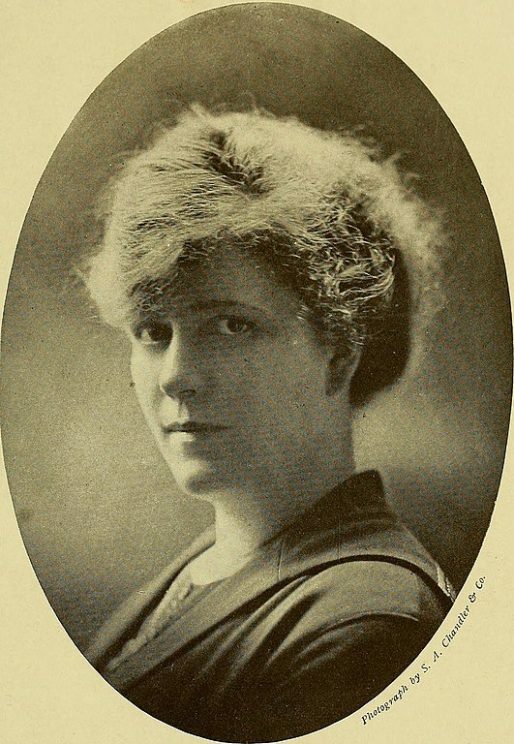 Snowden wrote a number of books advocating for feminism, including one titled The Woman Socialist (1907), in which she argued that the state should pay the majority of childcare costs and provide salaries for mothers. She also advocated for co-parenting and for easier divorce. During the First World War, Snowden began actively campaigning for peace, undertaking speaking engagements across the UK to advocate for an early and fair peace settlement. After the war, she held a number of political roles to continue spreading her enthusiasm for peace. A crystallographer in profession, Lonsdale was a committed pacifist who became drawn to Quakerism due to her support of peace. Lonsdale strongly believed in Gandhain non-violent resistance and in civil disobedience, holding the principle that “as violence does not further peace in the home, neither would it in world politics”; this belief led Lonsdale to spend time in prison for refusing to register for civil defence in the Second World War. Following the Second World War and the month she spent as an inmate in Holloway prison, Lonsdale furthered her peace work in several ways, including campaigning for prison reform. In addition, Lonsdale’s concern about the ethics of science – particularly in the context of war – peaked following the advent of nuclear weapons. She became vice-president of the Atomic Scientists Association, president of the British section of the Women’s International League for Peace and Freedom, and she frequently attended meetings of an anti-nuclear group of scientists called the Pugwash movement. Image credit: “Kathleen Yardley Lonsdale (1903-1971)” by Smithsonian Institution. CC0 via Wikimedia Commons. 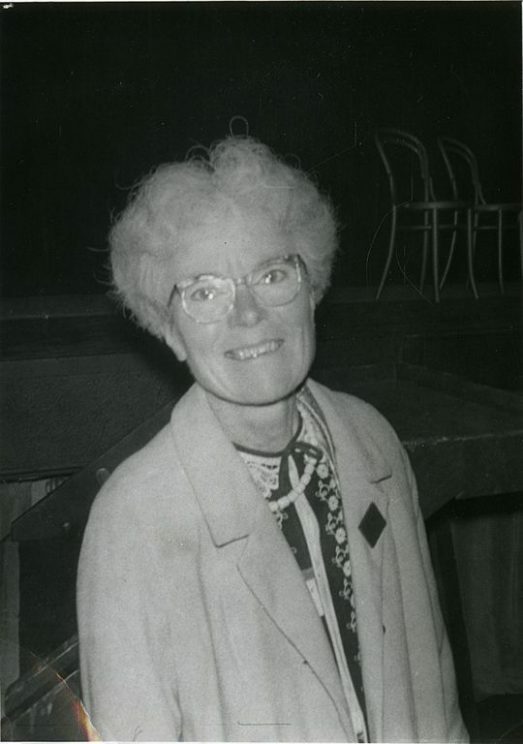 In addition to her work as a peace activist, Lonsdale was successful in her day job, becoming one of the first two women elected to the Royal Society as fellows in 1945 for her contributions to crystallography. Although best known in life for directing her family’s successful rose growing business, Murrell was also an environmentalist and peace campaigner, working with the Jewish Refugee Children’s Society during and after the Second World War to assist with the care and resettlement of wartime refugees. Later in life, Murrell became increasingly concerned about the threat of mass extermination by nuclear weapons and by the environmental damage caused by the nuclear power industry. Murrell became a member of several anti-nuclear and peace-promoting organisations including the European Nuclear Disarmament Movement and the Shropshire Peace Alliance; she was also a founding member of the nuclear freeze movement in Britain and a private researcher, completing a paper criticising the government’s paper on radioactive waste management at the age of 78. These four women represent just a handful of those who have had an impact on peace in the world, whether they have campaigned for peace or campaigned peacefully for something they believe in. As we continually strive toward achieving gender equality worldwide, this list of women will only grow in number and in impact, leading to the betterment of the world for all. Charis Edworthy is a Marketing Executive in the Reference and Online Products team at Oxford University Press.